Leela: You’re not gonna eat a sandwich from a truck stop men’s room, are you? Fry: Eh, what’s the worst thing that could happen? Ugh! It’s like a party in my mouth and everyone’s throwing up! “Parasites Lost” might very well be THE textbook flawless Futurama episode. 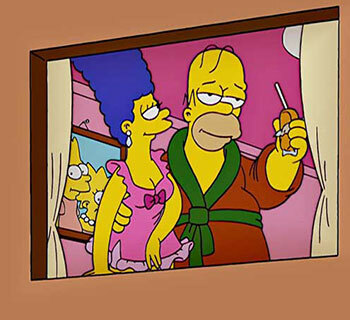 It involves the entire crew in an adventure that explores classic science fiction tropes, managing to balance humor, sci-fi, and human drama in perfect proportion, something that seemed to be in abundance in the show’s third season. 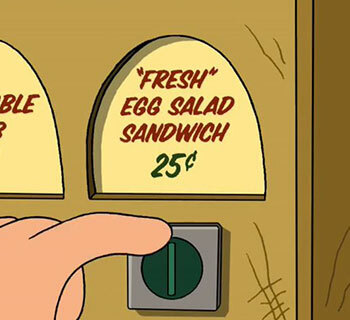 It also introduces us to one of Futurama’s most memorable foods: Fry’s “fresh” egg salad sandwich (aka The Toilet Sandwich) that drives much of the episode’s plot. 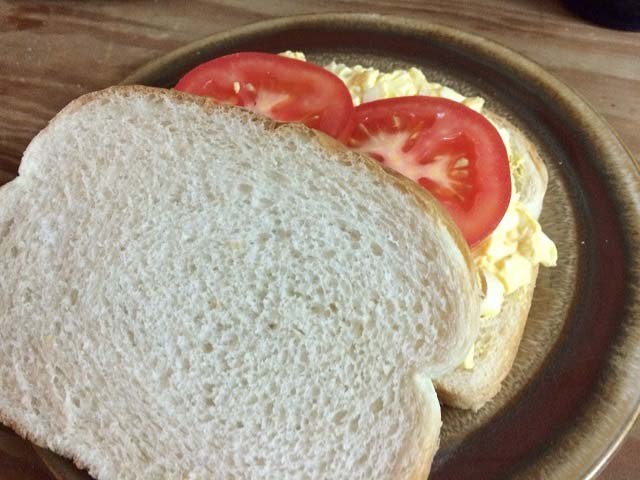 The eggs in the sandwich are, as it turns out, worm eggs (“and the mayonnaise was probably none too fresh, either!”). These eggs give Fry’s body and mind the tune up he feels he needs to win Leela’s heart. Let’s take a look at how to make your own truck stop men’s room Toilet Sandwich! Note: this will make enough egg salad for approximately two sandwiches. The proportions are such that it’s easy to make more or less, though! First, hard-boil the eggs. Place eggs in a saucepan and fill with water. Bring water to boil and immediately turn off heat. Cover and let sit for 13 minutes. Remove from stove and cool in cold water for five minutes. Peel the shells from the eggs, rinse and chop. Chop the onion. Place eggs, mayonnaise, mustard, onion, paprika, and salt and pepper in a bowl. Stir until combined. Spread the mixture on sandwich bread. Top with tomato slices (black crackers if you leave them out long enough). Morbo Gives It: 7 out of 10 Delivery Boys. This is a simple recipe to make that uses very few ingredients. As such, it’s hard for me not to imagine eating whole eggs covered with mayonnaise as I take bites of this sandwich, which isn’t all that enticing. It’s good for a picnic, I suppose, but it’s not much of a meal. While I’d have it again, a little bit does go a long way. 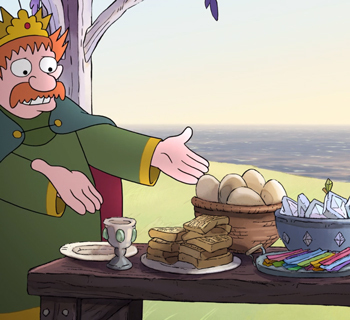 While taking a tour through Fry’s body, we can see some of the other strange things he, for some reason, eats, including money, gum, and silverware.